1. Talk about your involvement with Center City ​B​rass​ Quintet​. What has it meant to you & what have you learned? ​Although my career goal was always to play in an orchestra, in many ways the Center City Brass Quintet has been one of the most constant and important parts of my life as a musician.​ I was a founding member, along with four other first-year students at the Curtis Institute in 1985…we’ve been in existence for almost 30 years now! At the time, there was no organized brass chamber music program at Curtis. We formed the group on our own and went to the administration to request coaching. We were very active through our four years at school; we played recitals every chance we had, and we traveled quite a bit around Philly, to New York, and to California for competitions. We had so many great experiences, that when we all went our separate ways after graduation, we wanted to get back together for a reunion. Initially the idea was just to get together for fun, but we would always put on a recital as well. After a couple years we decided we should make a recording. Sam Pilafian produced the sessions, and it resulted in a really fine product that we were able to sell to a small British label with world-wide distribution. That made it easy to get concert management, and we began to schedule concerts whenever we were all available at the same time…which was almost never! Witser in 2009), but we’ve always made it a priority to set aside a week or two each year for the group. We’ve played all over the U.S., presented classes at many universities, made 4 or 5 trips to Japan, and made 6 commercial recordings. And it always feels like a special occasion. When we were in school, we rehearsed a LOT. One year, we basically worked on one piece (Ewald 3) for the entire year. One thing we learned early on was that while there are sometimes things that need to be discussed, it’s always better to play more and talk less in rehearsal. We also learned to LISTEN. We would sometimes turn our chairs backwards so that we couldn’t see each other as we played. We had to figure out how to play perfectly together without visual cues, relying only on the sound of each others’ breaths, and the subtle clues in each others’ sound and phrasing. We got so that we would know what the other players were going to do before they did it. I remember when we were still in school we once had a live radio broadcast on which we decided to sightread a piece we’d never rehearsed…we were so comfortable playing with each other that we didn’t think twice about it! The work we did on our ensemble 30 years years ago is still paying off today, because these days we have minimal time for rehearsal each time we perform. 2. How many different tubas do you use on a regular basis? What are their sizes and specializations? ​I have 5 tubas at the moment. My primary instrument is a Melton Meinl Weston 6450/2 handmade Baer model CC tuba. This is an orchestral instrument with a very large and powerful sound that is also very efficient and able to create a clear tone and clean articulation. Recently I purchased a large BBb tuba, a 5-valve piston version of the Melton Meinl Weston Fafner model (195-5P). Although American orchestral tubists have traditionally used CC tubas almost exclusively, I’m finding there is certain repertoire that really benefits from the broader, deeper sound of the BBb. Prokofiev, Shostakovich​, Rachmaninoff and other Russian repertoire for instance. The difficulty is maintaining the same level of articulate clarity, but it can be done on this instrument, and my colleagues in the orchestra and students in the audience have noticed the different color the BBb provides. I have always played a CC tuba in quintet, and I am currently using the Melton Meinl Weston 3450 “Sassy” model (pistons). While some prefer F tuba in quintet for clarity and agility, I prefer the fuller sound of the CC to match my powerful colleagues! This is also the sound I have in my head from one of my first teachers, Sam Pilafian, who was playing in the Empire Brass when I was studying with him. My primary F tuba, which I use in the orchestra and for solo playing, is the Melton Meinl Weston 2250 (piston). I also have a small rotary F tuba (Melton Meinl Weston 182) which I only use on occasion. We should use the tongue as much as necessary to create that clarity, keeping in mind that it is the buzzing of the lips that creates the actual sound, not the pushing of the tongue. So for technical passages, I always start by practicing the passage slurred, to make sure that the tone production is good all the way through each note, and then I “overlay” the tonguing to create the articulation I want. I do use a range of tongued consonants (T, D, etc.) to achieve a range of articulations, but I don’t think of orchestra, chamber and solo being separate categories in this regard. I think more about what the music requires, and in fact there are solo and chamber situations within the context of orchestral playing. 4. Do you advocate essentially one embouchure, or a pivot system? my mouth placement on the mouthpiece, and my basic interface with the instrument is the same for all registers and dynamics. There are some great players who regularly utilize embouchure shifts, and I will very occasionally use a shift for extreme situations in the pedal register, but my basic concept is that the high and low registers are extensions of my middle register, so I use the same setting all the time. This also allows for a consistent tone throughout the registers, and for smooth connections and agile facility between any intervals. That said, I do not see the “pivot method” as being contradictory to this approach. The pivot method refers to the fact that as you play lower, the lower jaw protrudes, and as you play higher, it retracts. This can all happen while maintaining the same mouth placement on the mouthpiece. While I acknowledge this pivot phenomenon, I don’t concern myself with it very much, if at all; in fact, my caution about consciously employing the pivot method is that the player is very likely to over-compensate with the jaw movement, and to be overly concerned with jaw placement for each note, rather than with the consistency of tone. This brings me to a very basic philosophy that I have regarding the use of physical instruction in general. While I think it is a good idea to have a solid understanding of good physical form for playing a brass instrument, if a player focuses on physical instruction in pursuit of a musical outcome, he or she is very likely to miss the mark, both because there is no longer a clear focus on the intended result, and because it is likely the player will over-compensate physically. Even when the result is basically satisfactory, it usually sounds musically stiff or contrived. I believe the better approach is to focus on a clear, vivid musical directive, allowing the physical apparatus to respond as necessary. I find that the one physical instruction that can be helpful in this context is to stay “neutral”, which essentially means to stay as physically relaxed as possible, in a manner that allows for a fluid response towards the musical goal. Essentially, the stored knowledge you have on how to play the instrument kicks in on a subliminal level, and you allow yourself to play in the most efficient manner possible. 5. Which classical composers have you come to admire most for their orchestrations, from your vantage point within the orchestra? Prokofiev, Mahler, Wagner, and Richard Strauss have to top the list from the core repertoire. Prokofiev in particular uses the tuba in such varied and creative ways, sometimes as bass voice in a large brass choir, sometimes alone with bass trombone, and often alone with the horn section, the low woodwinds or the string bass section. There are incredibly beautiful, evocative moments in his Romeo and Juliet ballet, and quirky solos in pieces you might not even expect to have tuba at all, such as his violin and piano concerti. Mahler is slightly more traditional in his use of the instrument, but uses it extensively, and has given us important solo moments, particularly in the 1st, 5th, and 6th symphonies. ​Wagner, Strauss, Tchaikovsky, Shostakovich all provide us with extensive, challenging and rewarding parts as well. 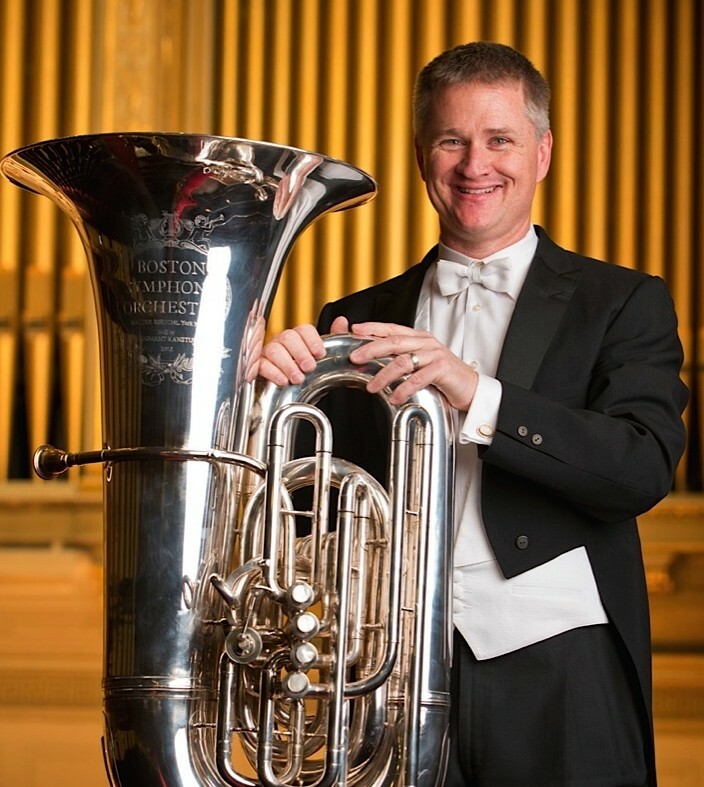 There really are so many: Hindemith, Nielsen, and in particular Vaughan Williams, who, although not that often performed in the U.S., wrote some amazing tuba parts in his symphonies. 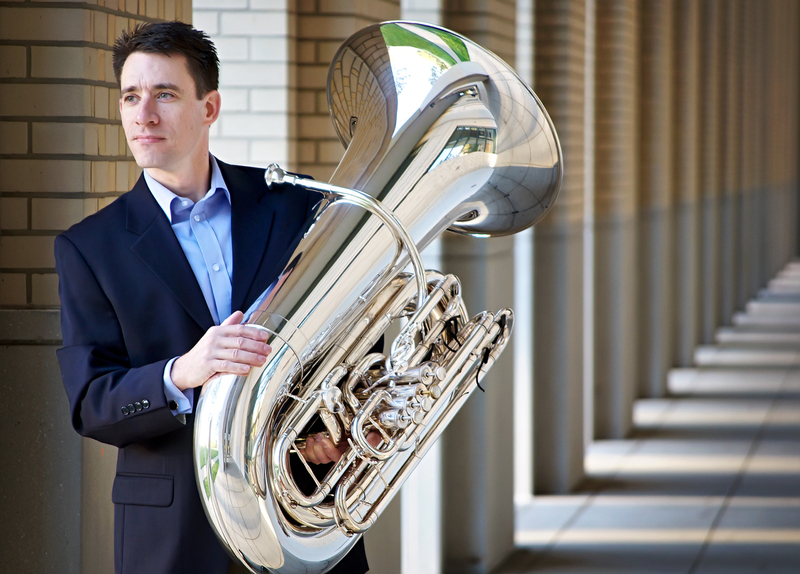 These days, there are a lot of composers who ​write well for the tuba​ in their orchestral works​. ​Some of the contemporary composers who stand out to me are John Adams, Jennifer Higdon, James MacMillan, and Mason Bates. 6. What chamber music settings for tuba might you like to see composers and arrangers explore? Anything unusual on your horizon? 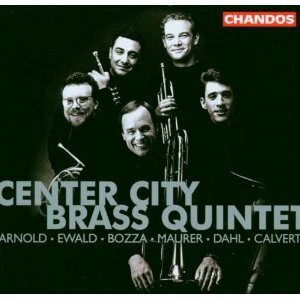 ​As we already discussed, I have played a lot of chamber music over the years, but most all of it has been with other brass players. 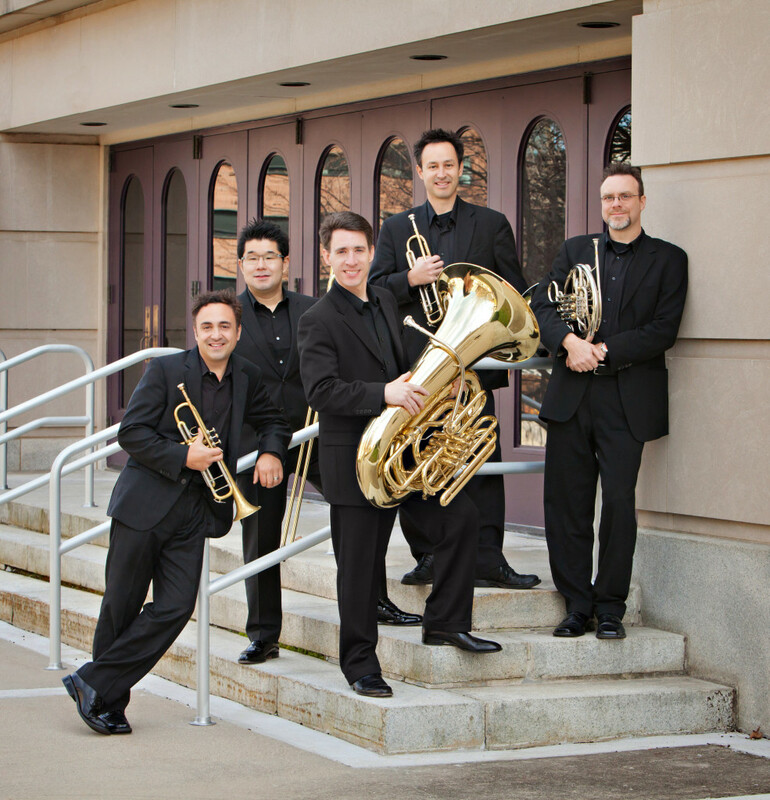 In addition to the Center City Brass Quintet and the Chicago Chamber Musicians Brass Quintet, I have also played a lot of chamber music with my colleagues in the PSO Brass and the PSO low brass section, with which I recorded a CD called “From the Back Row”. I guess what I would like to do to expand on this is to play more music with mixed instrumentation. I was a co-commissioner of James Stevenson’s recent work for tuba, horn and piano (premiered by Steven Campbell) called “Vast and Curious”, but I haven’t had a chance to perform it myself yet. I would definitely like to play some chamber music with strings; I’ve always found that the sound of the tuba mixed with strings is complimentary…not ​overbearing, and providing a different sound that allows for a nice blend, but with independence of voices. As a matter of fact, a colleague of mine in the PSO recently approached me about playing on a concert with string quartet, so I have started doing some research looking for that combination. 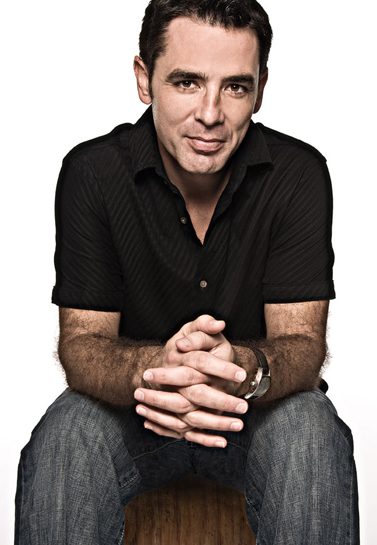 Roland Szentpali has written a great piece for tuba and string quartet called “Ballade”. 7. Please discuss the special lineage you have from Bill Bell and your relationship with The Curtis Institute. How have you been influenced by Arnold Jacobs, who is also a Curtis alum? There wasn’t a day during that time that I ​wasn’t conscious of what a privilege it was to study at a school with such a rich history and high standards, so it’s a special situation to be able to continue a relationship with the school at this point in my career, working with a new generation of students. It’s also nice to be seeing so much of Paul Krzywicki, who was my teacher at Curtis, and who is also still on the faculty. Paul Krzywicki studied with Bill Bell at Indiana University, and in fact was very close with him, sharing a house with him across the street from the School of Music. So to the extent that Bill Bell was such a major influence on Paul and his playing and teaching, I have certainly been influenced by those same values. Arnold Jacobs preceded me as a student at Curtis (by about 50 years! )​, and also happened to precede me in the Pittsburgh Symphony, where he played for five years under Fritz Reiner, before they both went to Chicago. However, I never had much direct contact with Mr. Jacobs. I met him when I auditioned for Northwestern, and I attended a summer master class session he presented at Trenton State University. I will say that I was fascinated by his class, gave much thought at the time to what he said, and can still remember much of it very clearly. 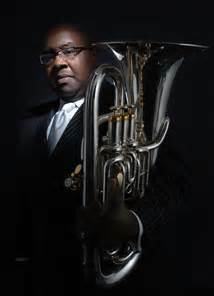 So, there are some cool connections that I can trace to Bill Bell and Arnold Jacobs, but the fact is that most every tuba player of the current generation can trace some connection to one or both of those men. Bell and Jacobs were the dominant tuba figures of their time, and their playing and teaching informed everything that has happened since on our instrument. 8. What have you yet to do in music that you still hope to explore? ​I don’t even know where to begin with this one! The learning, exploration, and improvement should never end. I am always trying to improve my playing and my musicianship, and I’m always looking for new repertoire to learn. ​I love to teach and, although it is a cliche; I learn a lot from the process of clarifying my thoughts and concepts for my students, and my students often give me new ideas as well. I will tell you that one thing I find myself thinking about is what drew me to music as a young beginner. There is a creative excitement we all feel when we begin the journey as a musician, and it can be hard to retain that as we become occupied with fulfilling our professional obligations. I am always looking for ways to keep this feeling alive. 9. 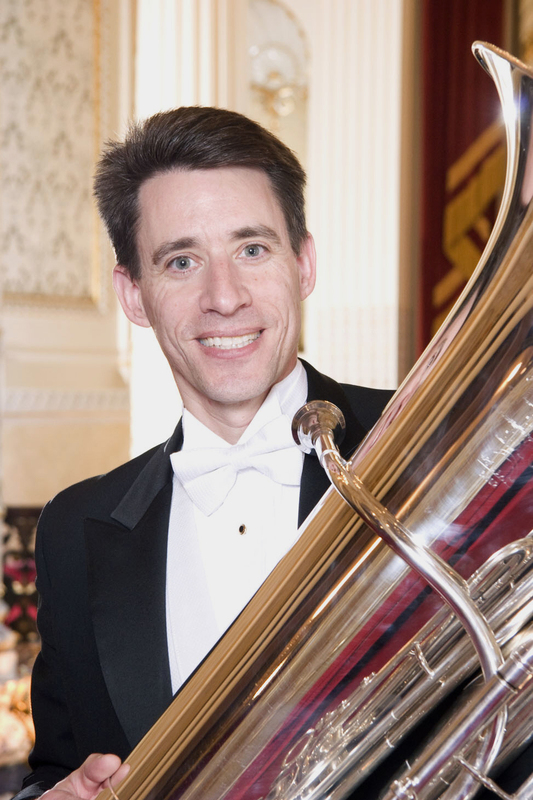 What is the best tuba playing you have ever heard? ​This is impossible to answer. However, I’ll mention some of the playing that was inspirational to me as a young aspiring tubist. Sam Pilafian was one of my primary teachers in high school, during the time he was playing in the Empire Brass. His incredible musicianship, creativity, energy, and technical ability were hugely influential. I also studied for a time as a teenager with Chester Schmitz of the Boston Symphony Orchestra; he had a beautiful, smooth, fluid sound that I remember vividly. My very first teacher was Gary Ofenloch, who had a powerful, clear, singing tone. 10. What is the best tuba playing you have ever done?